After sightseeing in Osaka, rejuvenate travel-weary muscles in the hot springs pools at Osaka Spa World. 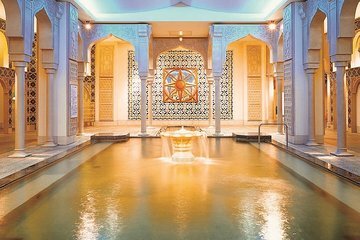 You can soak in 16 hot springs pools with designs inspired by 11 different countries, book a massage, check out the herbal baths and outdoor baths, and take a dip in the indoor swimming pool. Your admission includes baths, pool, gym, and use of a towel. For visitors with special physical conditions such as illness and pregnant women, please follow the doctor's advice.